Settled in a villa in Malabo, Equatorial Guinea, since his departure from Banjul on January 21, Yahya Jammeh has disclosed some of his projects to the local authorities. Gambia’s exiled former leader Yahya Jammeh has reportedly disclosed plans to take up farming “full time”. Quoting the Jeune Afrique newspaper, a BBC report said that Jammeh was set to go into farming. An unnamed diplomat in Equatorial Guinea was cited as the source of the story, the report said. It was not clear what type of farming he was set to venture into. 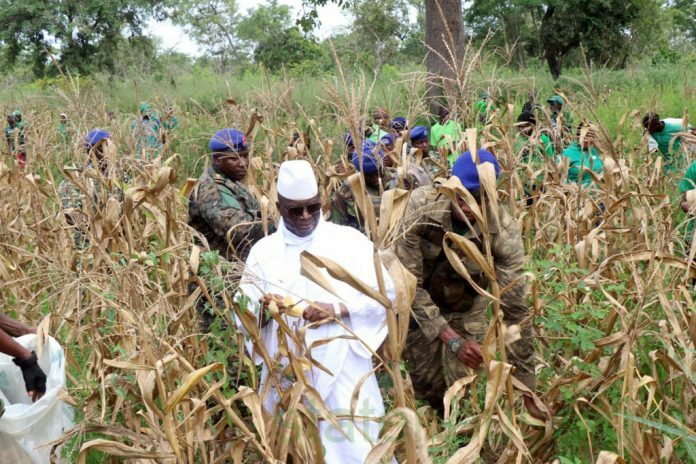 “Former President of Yahya Jammeh would like to embark on agriculture, and Malabo would have no objection because “the country is full of fertile land available,” according to an Equatorial Guinean diplomat. In the aftermath of his presidential defeat, Jammeh had announced his intention to retire to his farm in Kanilai, southern Gambia. But another subject is more preoccupying the former autocrat: in recent days, the Gambian justice is investigating the alleged misappropriation of $ 8 million for its foundation. If Banjul filed a request for extradition, would Malabo agree to deliver Jammeh?